Over 400m below sea level, the Dead Sea was one of the most surprising, unique experiences on my Jordan journey. Coming from someone who has grown up in the ocean and spent as much of my waking childhood hours in the water as out of it, I was completely shocked by my Dead Sea submersion… or attempted submersion since technically I couldn’t completely submerge myself in the Dead Sea. The largest natural spa in the world, and the lowest point on the face of the earth, the Dead Sea receives a number of incoming rivers, including River Jordan. Once the waters reach the Dead Sea, they are landlocked and have nowhere to go so they evaporate, leaving behind salts and minerals. 8.6 times saltier than the ocean, it’s impossible to sink in the Dead Sea. I had known this fact before entering the sea, but I didn’t grasp the full concept. I was shocked by what happened when I dropped myself into the water. It was more like sitting in Jell-O (not the texture, but the buoyancy). I sat upright and gained my balance; my entire upper half was out of the water. It was totally bizarre. Forget trying to swim; it is definitely a float kind of place. Equally shocking was how much it hurt. I’ve heard the saying, “like putting salt on a wound” but now I can say it with more conviction. Jordan is in my top five countries in the world to visit but its beautiful surroundings and diverse landscapes were hard on me. I entered the Dead Sea with more scrapes and cuts than a Crash Test Dummy. It may have been helping me heal but the accelerated rate was too much for me. I followed the 20 minute time suggestion because I just couldn’t stand any more “healing”. We tested the waters by trying different positions and laughed at how everyone looked like they were sitting on a water noodle. Although all of the pictures look like people are sitting on sand or only knee deep, we are actually over our heads. While it is tempting to try and duck your head in the water, I heed a warning – if you think it burns your skin, wait until you get it in your mouth or eyes! Take my word for it and avoid eye or mouth contact. Jordan is filled with new adventures around every corner but for the first time in my life, I didn’t have that familiar feeling when I reached the waters. Others were most fascinated with Petra, Wadi Rum, or Amman but the Dead Sea held the greatest allure for me. This entry was posted in Jordan, Travel and tagged bucket list, Bucket List Publications, bucketlist, Dead Sea, Jordan, Lesley Carter, MyJordanJourney, travel, VisitJordan by lesleycarter. Bookmark the permalink. Awesome post. You’ve made me want to go there and try it out. It was so unique! It might have been my favorite day of the trip 🙂 Have you ever been to Jordan before? When I was 9, but never got to enjoy the Dead Sea. Makes me want to go there, too.. I’ve never been! 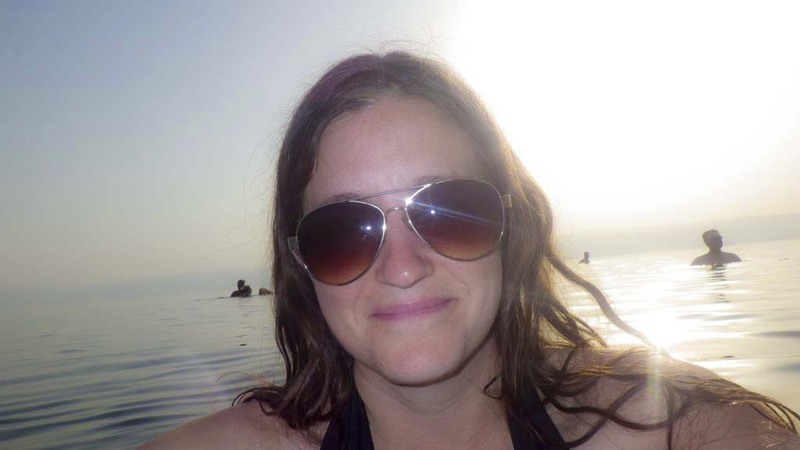 The Dead Sea was one of my very favorite things in Israel too! I could not get over the buoyancy! I could stand in deep water and pedal! Loved it! Before going it, it’s critical to know: Don’t shave or wax for several days before. Don’t have any open cuts. Do NOT dive in, it burns your eyes like nothing you can imagine. Do not ingest it. It is beyond amazing! Love your photos… I’m dying to return to Israel, and now Jordan is way up the list too! Thanks for sharing Lesley. Oh my. Not fun… at all. Very cool, I have not had the opportunity to swim in a salt laden sea, but I will. Wonderful posting! And very nice photographs. Looks like an experience not to miss – a lot of fun. Did all your cuts heal quickly afterwards? Love the pics you can tell what fun you’re having. just curious ’cause I’ve heard it’s a very healing place mind body and soul. glad I can live your adventures through you until I get there myself. Thanks. I love these posts on Jordan! How incredibly fascinating that you can’t sink in the water. You look wonderful in the photos! Lesley! The shot of the toes against the sun on the Dead Sea is just brilliant brilliant brilliant. Quelle apropos. Godspeed, Adventurer! Thanks Jonathan! I always hate posting photos of myself. I’m my biggest critic but I think my Jordan photos reflect my true happiness so I’m a little less hesitant. Glorious! I’ve heard from other people I know who have been to the Dead Sea that the experience was mystical and spiritual. Looks like you had a great time! What an amazing adventure you have had in Jordan. Could you see Masada from where you were? It is my favorite place alongside the opposite shore of the Dead Sea. We have a bit of a joke in my family, my grandma can’t float in sea water or in pool water, so we laugh that she would be the exception to the dead sea stories and she would sink. 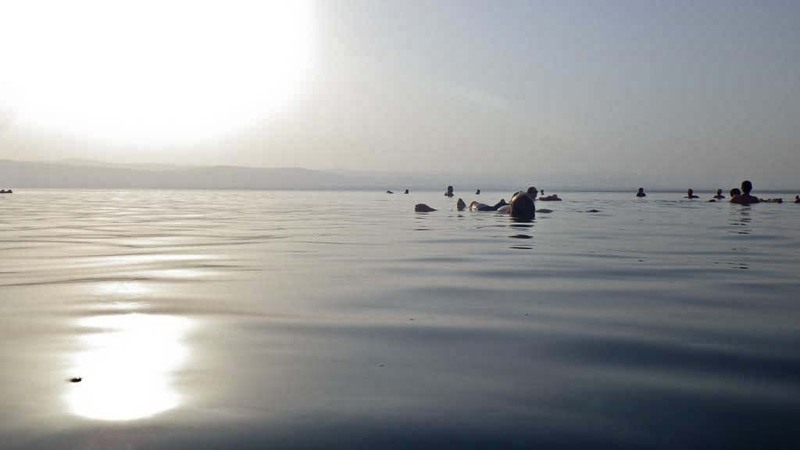 I remember going there when I was only 9 years old, it was uncanny how the dead see makes you flow, my older siblings were messing with me by saying that the souls of the people who died there are the ones who are trying to save us by keeping us flow up… Which is why they call it the Dead Sea. Though I know the reason why they call it that at the time (too much salt, dead fish) I liked their version. Petra was another magical place. You’re right about the stinging! When I went in, I’d cut myself shaving that morning, and did it ever sting! But, that nick healed in jig time! Ah, that looks like so much fun! amazing, this goes on MY bucket list! I knew the “facts” of the Jordan but your account made it so vivid and personal. Thanks! I need to go there! Thanks for the post. And love that picture of the toes too. Wow! That is so cool. Jordan is definitely on my travel bucket list. I have loved reading about your travels there. I hope you continue to have a safe, fun journey! Truly unique, have never heard of this, nor done it before. I’ll have to try it in the near future- yay! I’ve never been to the Dead Sea but I have been on a water noodle. This description not only made me laugh, it let me feel what you meant. And the toe shot is great! A friend of mine once told me that a middle-sized bottle of body clay mask containing salty sea mud from the Dead Sea was one of the most expensive body treatment products in the world! Crazy! I actually had no idea about the buoyancy of the Dead Sea, but that is awesome. I loved this post! It was a little freaky for me at first. I originally starting kicking because my body was used to doing that to stay afloat. I’ve heard about the Dead Sea, sure, same as everyone else. I didn’t have a clue to all the additional information you’ve shared here in your post. Must do something to your mind, the experience of expectation of what is normal and what actually is a new normal in this environment. Wow. Excellent blog. I am not a swimmer or you can say I am a beginner. It makes me want to visit and try to get into the water of the Dead Sea. May be I will float without any effort. Enjoyed it. Very cool! Would not think you could float in water. I would love to check out the Dead Sea, I think it’s one of those things that you just can’t really “get” until you experience it yourself. Wow, thank you for sharing this. It looks and sounds amazing and now I want to go there. Thanks for the blog post and wonderful photos!